View topic - Your Art - Themes, wallpapers, logos etc. fooling with blender...trying to do a portal concept. Any chance someone could find me a good logo download link? Snyper wrote: Any chance someone could find me a good logo download link? Thanks Xanayoshi, I hadn't seen that link, just another one going to a dead download link in the Oz forum, I believe. You're very welcome. If you would be so kind to provide that link, I will fix it in OZ. Xanayoshi wrote: You're very welcome. If you would be so kind to provide that link, I will fix it in OZ. It's from a reply by Blackwolf on page 81. 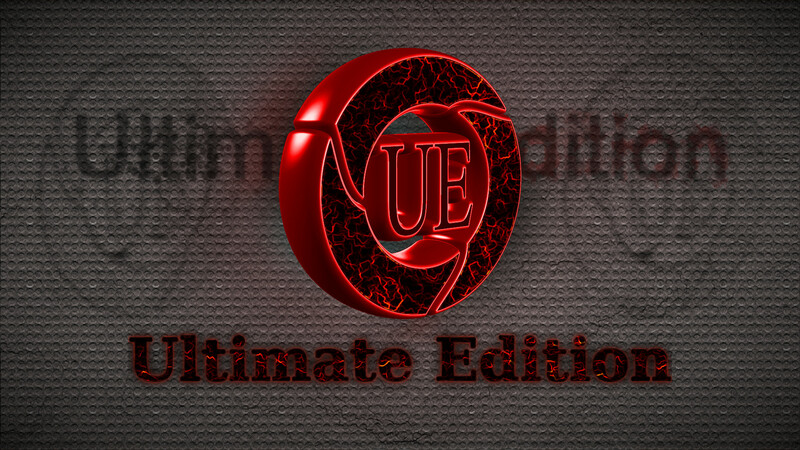 I just added the Ultimate Edition logo to this one. I found the back ground some other place. PS Thanks for the Tomcat Kinetic Appreciation. Never know maybe someone besides myself will like these two things from LXDE I snazzed up a bit. Have to keep in practice on coloring, besides is quite relaxing. Anyway hopefully some people will enjoy and use. Personally, I am using the banner on LXDE and looks much better than the original. Now if I can only design my own look would be nice. Guess am just not that artistic yet.